Moving Sala homage as emotional Nantes crumble - SABC News - Breaking news, special reports, world, business, sport coverage of all South African current events. Africa's news leader. 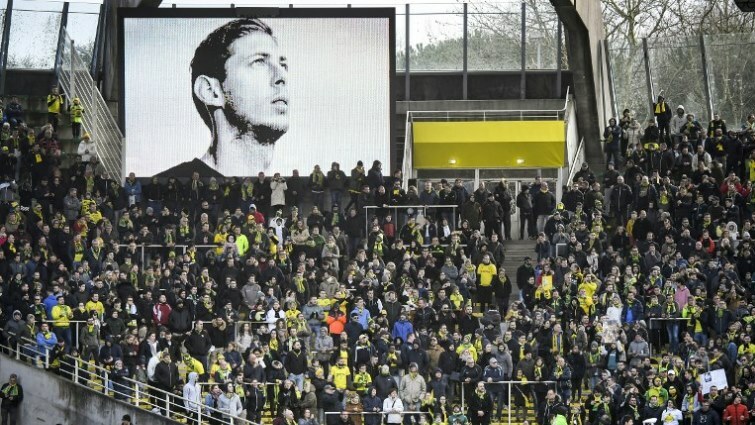 FC Nantes supporters pay tribute as a portrait of late Argentinian forward Emiliano Sala is displayed prior to the French L1 football match between FC Nantes and Nimes Olympique at the La Beaujoire stadium in Nantes. This entry was posted on 10 Feb 2019,08:08PM at 8:08 PM and is filed under Sport. You can follow any responses to this entry through the RSS 2.0 feed. Both comments and pings are currently closed.